Have you ever heard of an emotional support dog? These are dogs that can provide emotional and therapeutic benefits to people suffering from emotional issues, anxiety, or psychiatric problems. In order to register a dog as an emotional support animal, a licensed mental health professional or a doctor has determined that the individual would benefit from the animal. Some dogs wear an emotional support dog harness, although having the paperwork or registration as proof is usually accepted by establishments. Studies show that emotional support animals can provide a presence that is comforting to individuals suffering from mental health issues. Social Anxiety: An emotional support dog could potentially help you overcome your fear of social situations, boost your self confidence, or relieve anxiety. Anxiety: If you are continually worried or have trouble focusing, your emotional support dog would be there for you to help with the anxiety. Panic Disorder: An emotional support dog would be with you in order to calm you down, always being by your side, or even warn you when a panic attack is coming. Bipolar Disorder: Even when your moods change, energy level increases or decreases, your emotional support dog would be a constant and irregular support for you. An emotional support animal is different than a normal family pet because the individual needs the support in order to cope with daily life or struggles. The difference from emotional support animals and service dogs is that one is for mental health and service dogs are more for physical disabilities. Although training and expenses are different, the dogs are both serving the individual. 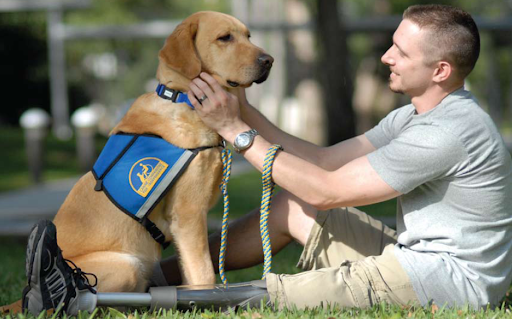 There are Federal laws that protect the rights of people with emotional support animals. The Fair Housing Act allows individuals to live with the animals, even if landlords or home policy is to have no pets allowed. The Air Carrier Access Act ensures that individuals with emotional support animals are able to fly with their animal. Airlines cannot deny you a seat, but you will have to provide the proper documentation. If you suffer from one of these mental health issues, researching emotional support animals is a great idea for you. Whether you choose a dog that wears an emotional support dog harness or a pig or cat, an emotional support animal could greatly benefit you.